Dr. Paul Bankey is Chief of the Division of Trauma, Burns and Emergency Surgery at the University of Rochester Medical Center and Strong Memorial Hospital in Rochester, New York. He is an Associate Professor of Surgery at the University Rochester School of Medicine. Dr. Bankey earned his B.S. Chemical Engineering degree at Purdue University in West Lafayette, Indiana, and his medical degree from the University of Minnesota in Minneapolis, Minnesota. Dr. Bankey also earned his Ph.D. in Nutritional Biochemistry from the University of Minnesota in Minneapolis. His postgraduate training included an internship and residency in General Surgery at the University of Minnesota Hospitals and Clinics in Minneapolis. He completed a subsequent fellowship in Critical Care Medicine also in Minneapolis in the Department of Surgery. Dr. Bankey was a Kellogg Fellow in Surgical Nutrition Research and the Recipient of the John H. Davis Research Scholarship Award from the American Association for the Surgery of Trauma. Dr. Bankey completed an Executive Program in Health Care Leadership from the Simon School of Business Administration. 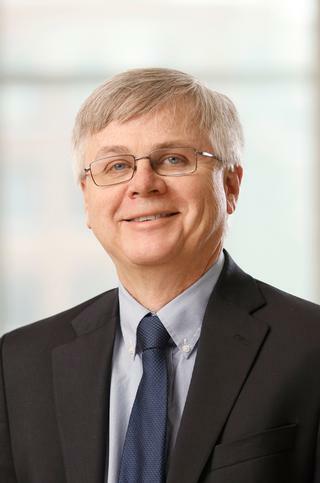 The author of numerous journal articles, books, and book chapters, Dr. Bankey has served as Principal Investigator on a NIGMS Training Grant and is the Program Director of the Surgical Critical Care Fellowship at the University of Rochester. He serves on the Executive Council of the Surgical Infection Society as Secretary and the Scholarship Committee of the American Association for the Surgery of Trauma. He is an examination consultant to the American Board of Surgery and a scientific editor of the journals, SHOCK, and the Journal of Surgical Research. Kahn SA, Iannuzzi JC, Stassen NA, Bankey PE, Gestring M. "Measuring satisfaction: factors that drive hospital consumer assessment of healthcare providers and systems survey responses in a trauma and acute care surgery population." The American surgeon.. 2015 May 0; 81(5):537-43. Jeschke MG, Pinto R, Kraft R, Nathens AB, Finnerty CC, Gamelli RL, Gibran NS, Klein MB, Arnoldo BD, Tompkins RG, Herndon DN, . "Morbidity and survival probability in burn patients in modern burn care." Critical care medicine.. 2015 Apr 0; 43(4):808-15. Bandyopadhyay G, Bandyopadhyay S, Bankey PE, Miller-Graziano CL. "Elevated postinjury thrombospondin 1-CD47 triggering aids differentiation of patients' defective inflammatory CD1a+dendritic cells." Journal of leukocyte biology.. 2014 Nov 0; 96(5):797-807. Epub 2014 Jul 07. Edited By: Kirby Bland, M.D.